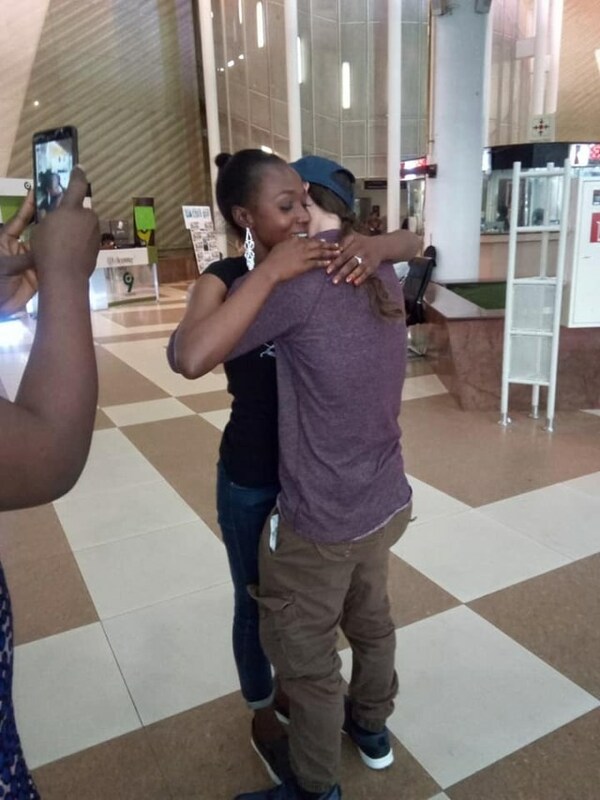 A joyful scene was created at an airport in Nigeria after an American man travelled all the way from his country to meet a Nigerian woman he met online. 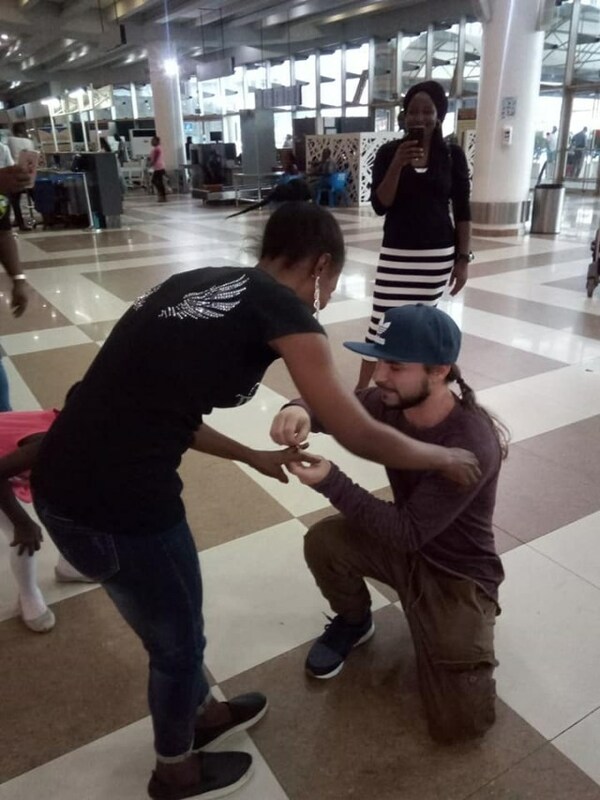 The lovestruck American identified as Christopher Chestnut arrived in Nigeria for the first time to meet his girlfriend, Leah Athaliah Amishe (also for the first time) and wasted no time by bending the knee to propose to her. 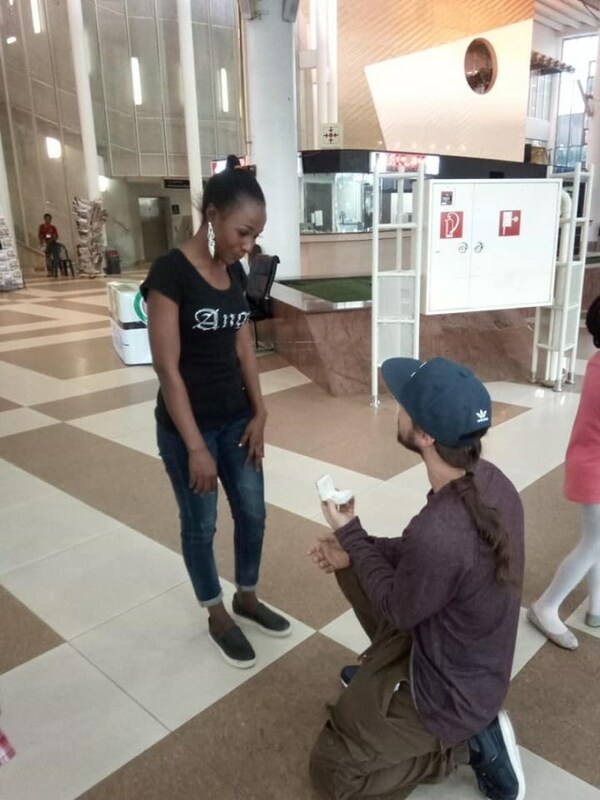 Leah accepted the proposal and the onlookers cheered on. 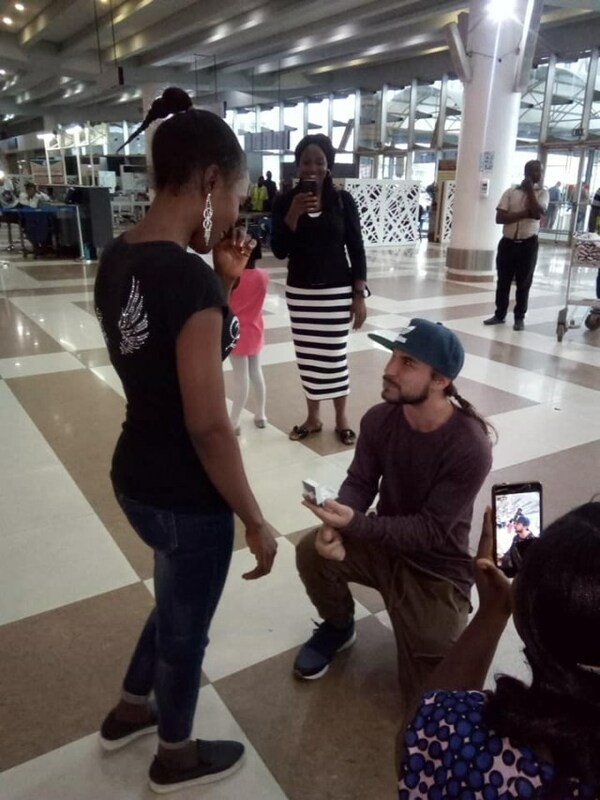 "And she said a big yes to confirm the date and to welcome him to Nigeria. 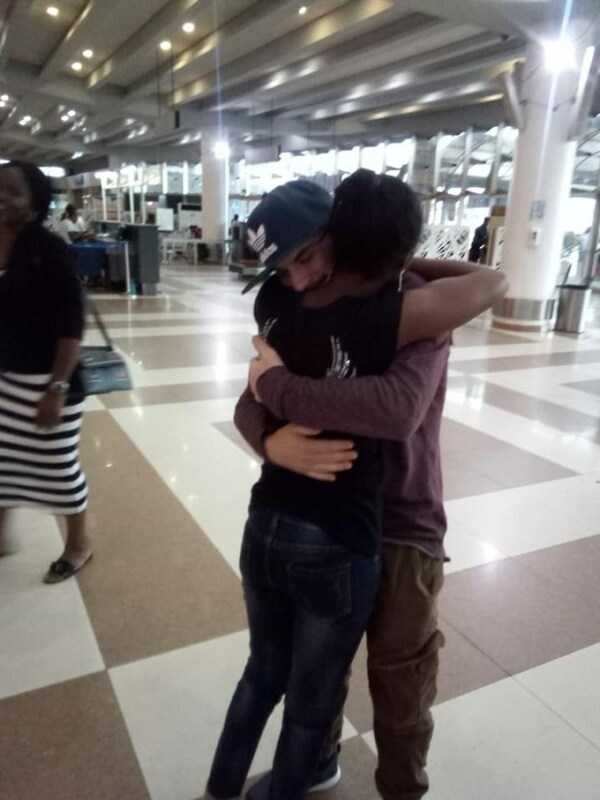 "This is his first time in Africa, Nigeria and Jos, he traveled all the way for love. "Congratulations to u Leah Athaliah Amishe and Christopher Chestnut"